The integration of the Praxis blog and website will likely cause some problems over the weekend. Regular programming will resume on Tuesday June 16, 2009. One url to rule them all! Our integrated website with a much more functional blog on the homepage will be up and running June 16th. 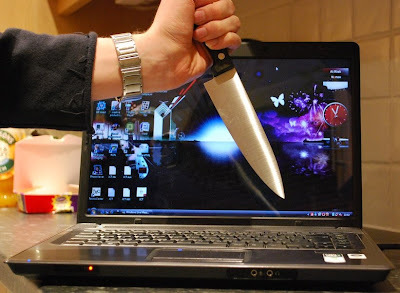 Please take the time to update your blog rolls and bookmarks. Actors' Equity Association has announced significant changes to the NYC Showcase Code. The agreement, which is not technically an Equity contract, but is "promulgated by Actors' Equity Association to allow its members to participate in productions in small theaters without the benefit of an Equity Contract." Members receive no salary or benefits and the performance and rehearsal schedules are limited in number. The terms of the code, created by and for the members, are designed to protect both the Equity actors and the interests of those theatres in New York City that operate under an Equity contract. A) The Basic Showcase Code for use on independent one-time productions. B) The Festival Showcase Code that allows actors to work for not-for profit producers who create a season of work. Maximum ticket prices have been increased from $20 to $25. Maximum rehearsal time has been increased from four to five weeks. Maximum budget to fall under the basic code is increased from $20,000 to $35,000. Performances may now be held over a six-week period. These changes were the result of the Off-Off Broadway Committee, which is made up of members of Equity who have worked under the code and producers who have produced under the code. Will this significant shift by AEA towards allowing its membership greater ability to leverage their labour to kick-start careers and productions have an impact in Canada? 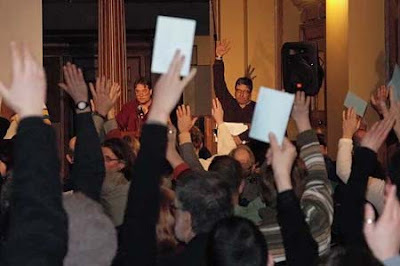 The 2009 CAEA AGM held on February 24th in Toronto saw a massive turnout to support a Member Resolution calling for Equity to provide a Showcase-type agreement for use by its membership. The final vote in support of this motion was 96-1. The issue brought out so many members, that the minutes to several previous AGMs were passed by an assembly that had finally achieved quorum. Clearly CAEA has a mandate to come up with a new system that supports members that want to hustle to get something off the ground, but no one knows what will be proposed. What do you think? Should CAEA adopt a Showcase-type code? Should the rules in the U.S. have anything to do with Canadian rules? Are these agreements “the thin end of the wedge” that will spell the end of reasonable protections for performers? Has that been the case in New York? Is this a good way to facilitate artists creating their own work?